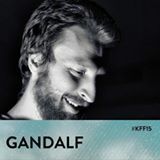 Matteo Brigatti, aka GANDALF, is one of the founders and resident djs of GENAU, one of the leading techno nights in Northern Italy. After years spent as clubber and amateur dj in the late ’90 and early ‘2000s and truly inspired by Turin underground scene, in 2003 he had the first opportunity to play in public at Docks Home club. After that he started playing in a large number of Turin’s clubs, exploring different styles in his dj sets (electro, prog-house, Chicago house, Detroit techno and minimal). In 2006 he had his first residency in the former night “Mood” every friday at Club Gamma, one of the most important club of the city, playing side by side with some of the most influential international djs, from Jerome Sydenham to Len Faki, from Solomun to Chris Carrier. In 2008 the Mood experience stopped, and Gandalf started to get closer to UK and German techno scene. In 2010 he started the Stereo project, a techno night active in Turin until 2014 born as a different option to the mainstream tech-house sounds that dominated the scene in that period. In those years he became a real connaisseur of the new deep techno scene and started to promote these sounds in Turin, inviting (and sharing the console with many of them) artists such as Marcel Fengler, Luke Slater, Ben Klock, DVS1, Robert Hood, Norman Nodge, Ryan Elliott, Silent Servant, Regis, Steve Rachmad, Jonas Kopp and many more. But his passion for music never stuck him to just techno, as he continued to organize and playing in parties with more “housey” sounds with different project (hosting djs such as Theo Parrish, Larry Heard, Hernan Cattaneo, Henry Saiz, Moodymann, Estroe…). He’s now resident dj and part of the art direction of the most important city festivals such as Movement Torino and Kappa Futur Festival and he’s been booked as guest in many parties (Dude, Il Suono, Glucose…), and festival around Italy (Aurora Festival in Lecce, Forevergreen in Genova and Milan, Bardonite…). In March 2013 he also had the opportunity to play in the most important French techno party, Concrete, along with Marcel Dettmann, Abdullah Rashim and Zadig and in early 2015 he had his first gig in Berlin at Griessmuhle. After ten years spinning music, he decided that now it’s time to start producing his own techno tracks. His first releases have been published between 2013 and 2014 by the french dub techno label Gravite and today he’s committed to produce music on the forecoming Genau Turin label. His style is made of a mixture of energetic and traveling tracks, deconstructed and re-constructed through the aid of digital technologies (he was one of the first Italian djs to realize the potential of digital djing) and he is well known as a dj that can really understand and become sympathetic with the dancefloor in front of him. Today, also thanks to his new residency for the Shout! night in Loud Club in Turin, he’s recognized as one of the most important promoter of techno sounds in Italy both as artist and as event organizer.